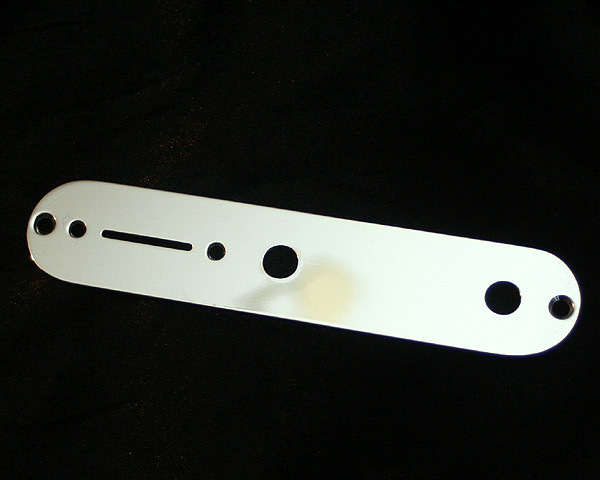 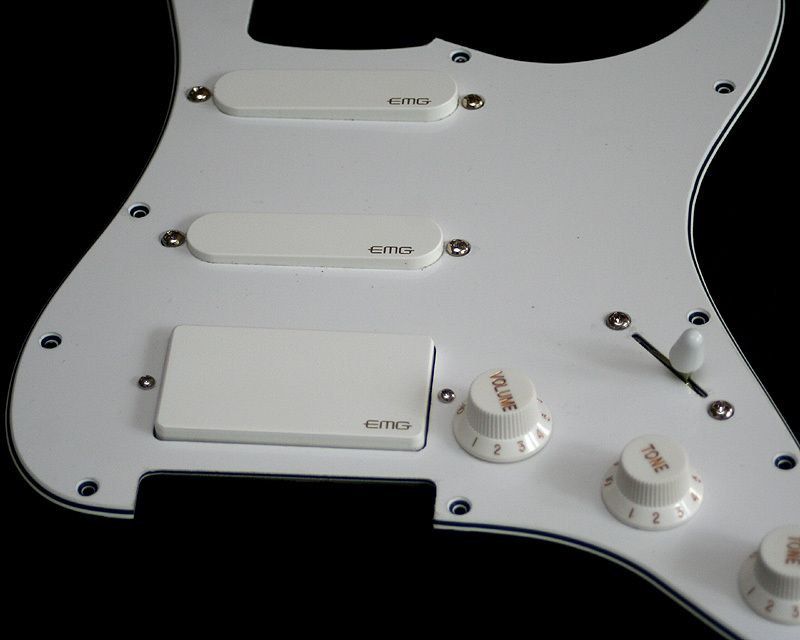 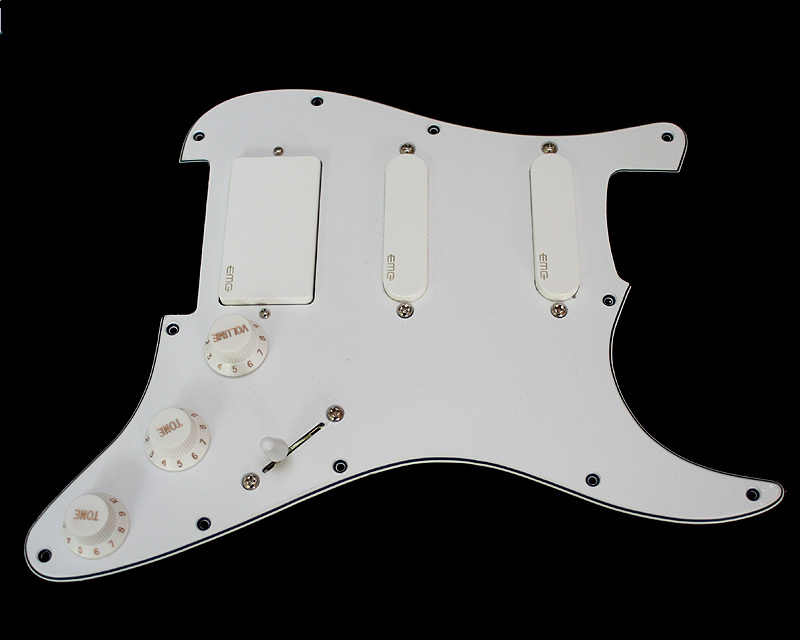 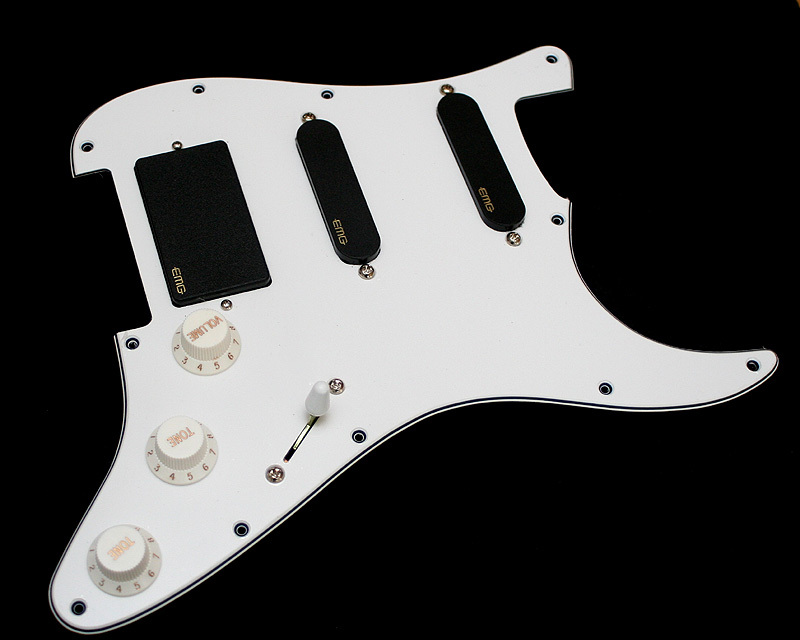 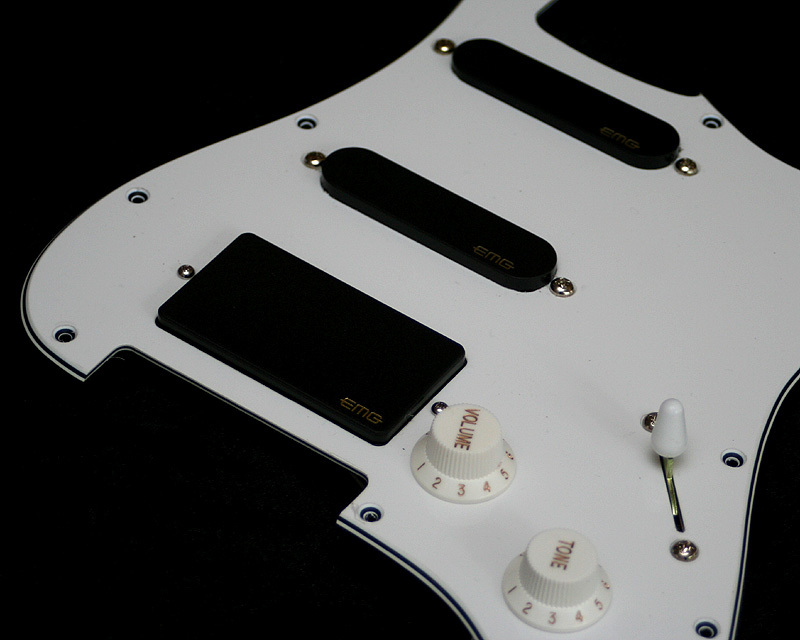 Pickguard for Stratocaster guitars loaded with a set of EMG pickups and an EMG SPC mid boost. 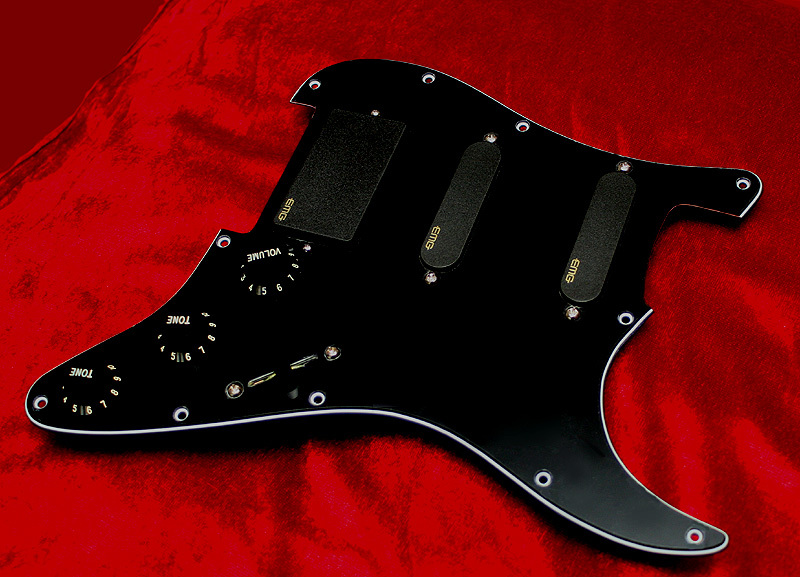 Made to achieve the closest sound to the Pensa Suhr MK1 with any S-type guitar. 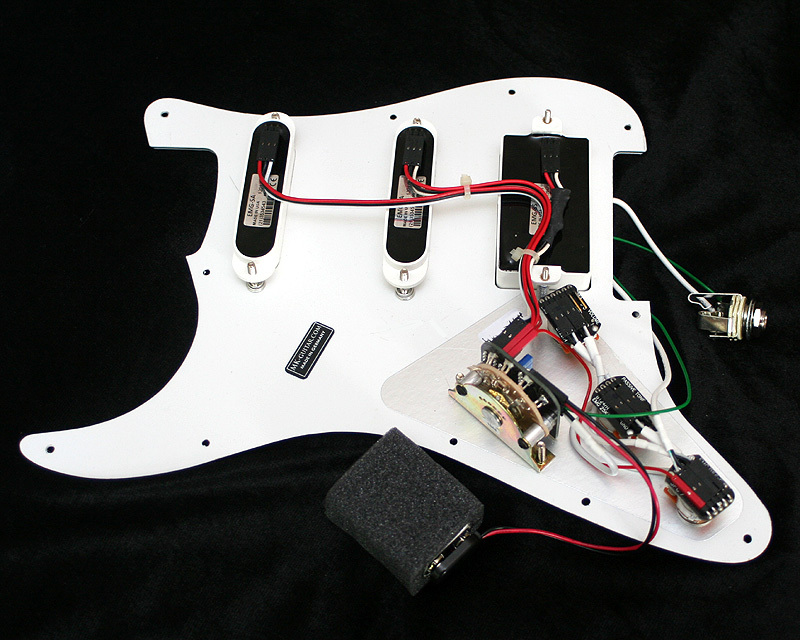 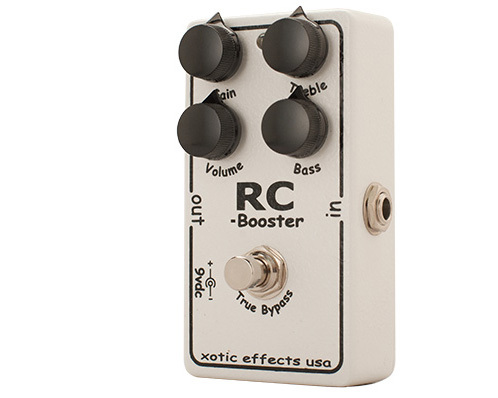 *Should fit on all Strat-sized guitars (11 holes like Fender, possibly individual screw holes of body need to be redrilled).